If you even saw the trailer for Peter Farrelly’s Green Book, you probably won’t be surprised that the upcoming period drama took home the Toronto International Film Festival’s People’s Choice Award. 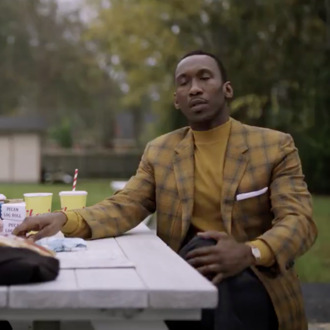 Mahershala Ali and Viggo Mortensen star in the film, which premieres November 21, as black pianist Don Shirley and chauffeur Tony Lip, two polar opposites whose friendship slowly blossoms as they travel through the American South in the 1960s on Shirley’s concert tour. Barry Jenkins’s If Beale Street Could Talk and Alfonso Cuarón’s Roma were the first and second runners-up, respectively, for the People’s Choice Award. A People’s Choice win at TIFF is often seen as a first step on the road to Oscars-ville. Last year, for example, Three Billboards Outside Ebbing, Missouri received the award before going on to score seven Academy Award nominations, including for Best Picture, though the eventual Best Picture winner The Shape of Water wasn’t among TIFF’s top three contenders. As for Toronto’s other categories, Vasan Bala’s The Man Who Feels No Pain was awarded the Midnight Madness People’s Choice award, with David Gordon Green’s Halloween and Sam Levinson’s Assassination Nation taking second and third place. In the documentary category, E. Chai Vasarhelyi and Jimmy Chin’s mountain climbing doc Free Solo earned the Documentary People’s Choice Award, with Tom Donahue’s This Changes Everything and John Chester’s The Biggest Little Farm right behind.